Philippe LeJeune gives lectures and concerts in schools from Colleges to Universities. He likes to share his longtime musician experience in music business and his knowledge of jazz and blues history, and tells anecdotes about musicians. 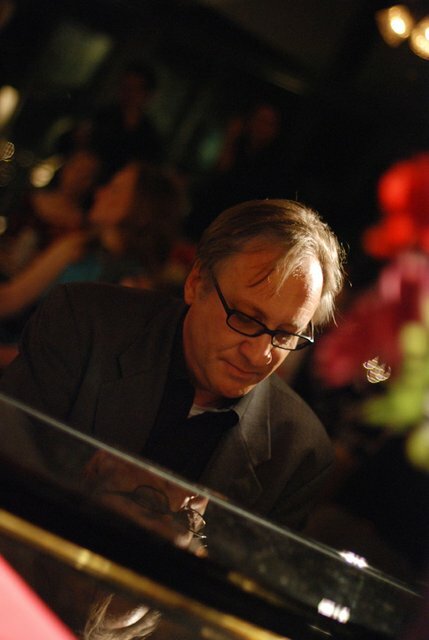 His piano masterclass material consist of acurate music scores and playing DVD of tv shows from the 50’s to 80’s of the late great jazz and blues performers ! – Material from acurate music scores and video concerts from the 60s and 70s by Jazz and Blues piano masters. – Learn the Blues from the most simple form to the most complex with notation examples. – Jazz improvisation skills, improvement program, Jazz phrasing and interpretation, improvement program is implemented. – Learn how to developp your own style. – As an educator, Philippe LeJeune conducted masterclass in France in several music schools, jazz festivals, and Conservatories of Music. In the US while being on tour, he was invited as a clinician at the Berklee College of Music (2006), University of Massachussets in Lowell (2007), University of Alabama in Birmingham (2012) and at Lowel Jazz Summer Camp (2013).